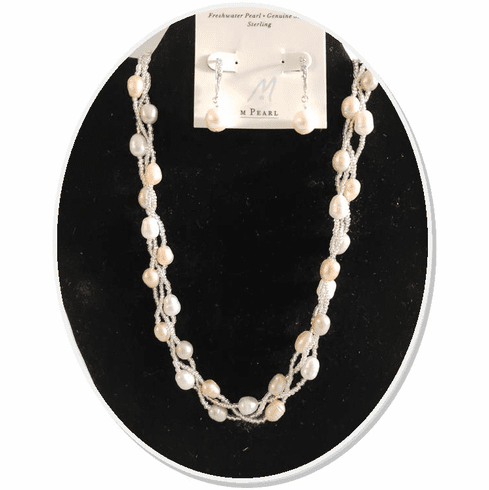 This gorgeous strand of champagne and white freshwater pearls is available alone or as a set with the stunning matching earrings. The necklace is an entwined double strand, hand-strung on silk thread in Rhode Island. The clasp is sterling, with magnetic closure. Measures 18" and arrives gift boxed.